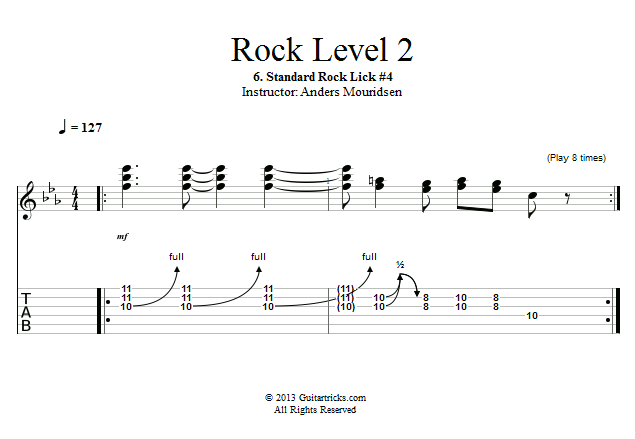 Now it's time to breakdown and explore the fourth and final go-to rock lick of this tutorial. Eventually you may have a larger vocabulary of go-to licks, but as always you want to remember that someone being really creative with a smaller vocabulary - like the old blues guys for example - is most often way more interesting to listen to than someone who's not being creative with a larger vocabulary. So for now we're keeping our go-to lick vocabulary small.